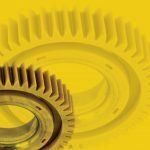 Recent improvements have made spherical roller thrust bearings superior alternatives to the traditional bearing types used in output shaft applications. 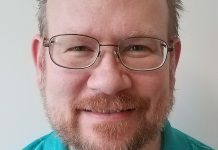 Here’s how—and why. Demand for plastic components and materials in industrial and consumer applications is growing rapidly, and in all geographic regions. As demand increases, original-equipment manufacturers and their end-user customers are seeking new ways to improve the output and productivity of plastic extruder machines and extruder gearboxes. 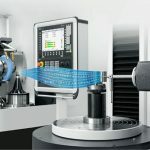 One potential solution involves greater use of spherical roller thrust bearings on the output shaft of extruder gearboxes, a critical bearing position that has a major effect on overall machine productivity. 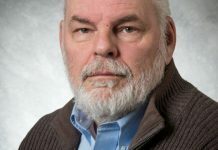 In recent years, new varieties of spherical roller thrust bearings (SRTBs) have come to market with optimized internal geometry, “cleaner” steels, and improved heat treatment methods. These SRTBs are emerging as superior alternatives to the traditional bearing types—tapered roller thrust bearings or cylindrical roller thrust bearings—used in output shaft applications. Extruder machines are employed primarily to manufacture thermoplastics including larger-profile products such as bars, PVC pipes, and hoses. They come in single-screw and twin-screw varieties; the majority are single-screw. The single-screw extrusion process works as follows: The plastic raw material is fed from a hopper or feeder into the extruder barrel. The extruder’s heater melts the material in the barrel, triggering a chemical reaction. A screw located in the barrel rotates at a constant speed, propelling the melted material forward. Speeds in single-screw extruders are normally low, ranging from 25 to 450 rpm (or r/min). 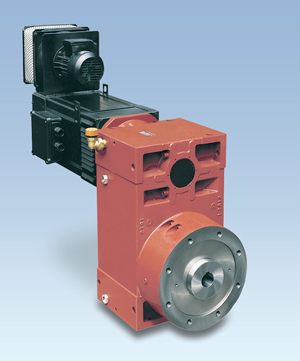 Power to drive the screw is supplied by an electric motor through a gearbox. The extruder gearbox provides the torque needed to overcome the friction of the raw material and to reduce the speed of the electric motor. A nozzle at the end of the barrel gives final shape to the plastic material. Friction generated by the melting material when forced through the nozzle of the extruder increases pressure inside the barrel and induces an axial load on the screw. The magnitude of axial load depends on parameters such as screw geometry, feed rate, and the type of material. The axial load is accommodated by a thrust bearing, which is normally mounted on the output shaft of the gearbox. Radial loads are accommodated by two radial bearings. The actual thrust load during operation is often unknown. Generally, extruder manufacturers assume that the thrust load equals the cross section of the screw multiplied by the maximum possible pressure the system is likely to experience. The cross section of the screw is basically the area of the circular barrel, or Πd2/4 where d is the screw diameter. The basic operation of twin-screw extruders is similar to that of single-screw machines, with one important difference: twin-screw extruders have two intermeshing screws that rotate in the same direction (co-rotating) or in opposite directions (counter-rotating). Co-rotating machines provide additional mixing power, whereas counter-rotating machines generate a smoother, more consistent end product. Twin-screw extruders operate at relatively low rotational speeds of up to 1,200 r/min. 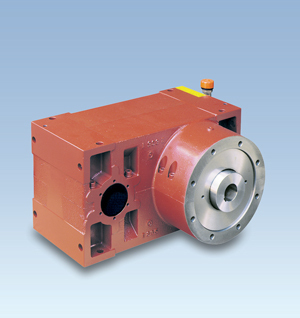 They are driven by parallel-shaft gearboxes that have two output shafts instead of one. Axial loads induced on both screws are supported by thrust bearings on the gearbox output shafts. High dynamic load ratings—Higher barrel pressures in extruders translate into faster extrusion and higher output as measured in kilograms or tons per hour. However, these pressures also create higher axial loads and require bearings with higher load ratings. Excellent performance in poor lubrication conditions—Due to low rotational speeds, poor lubrication conditions exist in many single- and twin-screw extruder applications. Modern spherical roller thrust bearings have optimized roller end/flange contacts and surface geometries that help to provide sufficient lubrication even in poor conditions. Resistance to dynamic peak loads (shock loads)—Several factors, such as imperfect melting conditions and raw material variations, can lead to sudden increases in thrust load during extrusion. Thrust bearings must withstand these occasional shock loads. Ability to accommodate misalignment—High axial loads due to poor melting conditions or non-homogenous material can temporarily deform the extruder screw, causing misalignment in the thrust bearing. Thrust bearings must be able to accommodate misalignment internally to avoid premature failure. Low heat generation—Thrust bearings must perform efficiently without generating excessive heat. Lower operating temperatures help to maintain a good lubricant operating viscosity and oil film separation. Ease of mounting/dismounting—This is an important consideration. Manufacturers of extruders and gearboxes should be able to quickly install thrust bearings during assembly. 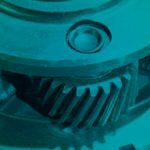 If a bearing becomes damaged, quick dismounting followed by fast and reliable installation of a replacement bearing is critical for minimizing costly downtime. 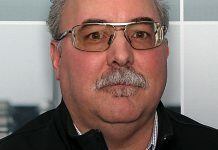 New bearing designs, technologies, and manufacturing techniques have made spherical roller thrust bearings an increasingly viable option in extruders. 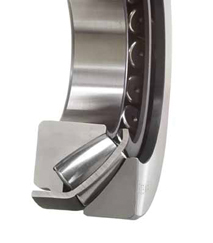 These bearings are well suited for applications with low speeds, heavy axial loads, and unexpected peak loads, and in many cases meet or exceed thrust bearing application requirements (see Figure 1 and Figure 2). Spherical roller thrust bearings are the only true roller thrust bearings designed to accommodate heavy axial loads in combination with radial loads. This ability to handle combined loads permits space-saving machine designs that provide a high degree of stiffness under heavy load. 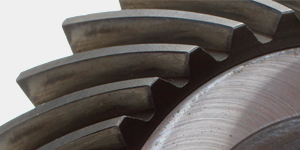 The SRTBs‘ internal geometry—including favorable roller end/flange contacts—optimizes lubricant film formation, enabling the bearings to perform efficiently at low speeds and in poor lubrication conditions. In addition, SRTBs are self-aligning. Depending on operating conditions and the bearing series, they can accommodate misalignment of up to three degrees between the shaft and housing without adversely affecting performance. Compared with conventional tapered roller thrust bearings and cylindrical roller thrust bearings, spherical roller thrust bearings have three major advantages in extruder applications: higher load–carrying capacity; lower friction and heat generation; and reduced bearing wear. The ability of extruder machines to effectively handle increased barrel pressure is dependent mainly on the thrust bearing. If the thrust bearing can handle higher axial loads and increased pressure, the production rate of the extruder can be increased (see Figure 3). New-generation spherical roller thrust bearings often have significantly higher load–carrying capacity than tapered roller thrust bearings or cylindrical roller thrust bearings of the same dimensions. By employing these high-capacity bearings at the output shaft location, extruder manufacturers and end users can potentially raise extruder melting points, feed rates, and barrel pressures without increasing the dimensions of the bearing. They can replace existing thrust bearings with spherical roller thrust bearings of equal size while simultaneously increasing power density (output) and loads. Downsizing the output shaft bearing is also an option. In some applications gearbox and extruder OEMs can replace standard tapered roller thrust bearings or cylindrical roller thrust bearings with smaller spherical roller thrust bearings without sacrificing load-carrying capacity. 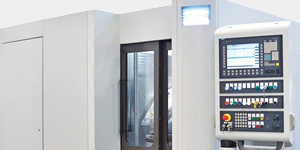 This can enable OEMs to reduce overall machine dimensions, energy consumption, material costs, and weight. As previously noted, high axial loads in extruders can temporarily deform the extruder screw, causing misalignment in the thrust bearing. 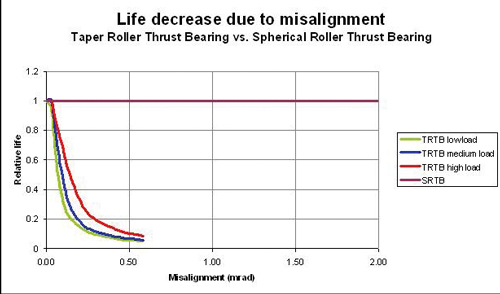 Spherical roller thrust bearings accommodate misalignment far better than tapered roller thrust bearings. 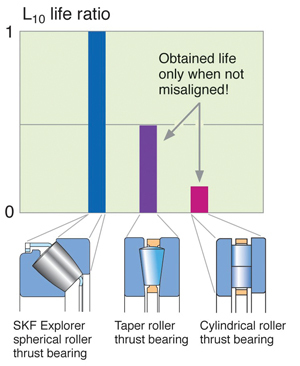 In fact, misalignment has no effect on the life expectancy of spherical roller thrust bearings. However, it can dramatically reduce the life expectancy of tapered roller thrust bearings under all types of load conditions (see Figure 4). 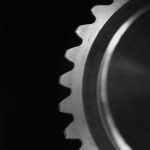 Modern, state–of–the–art spherical roller thrust bearings have less internal friction than other thrust bearings on the market, including tapered roller thrust bearings. They are characterized by optimized geometry in the flange contact area, an important feature in applications with high axial loads. Manufacturing tolerances and surface finishes have also been improved. 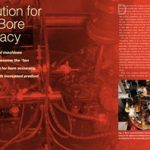 These advances enable modern SRTBs to provide good load distribution at the contact area while keeping friction at acceptable levels and maximizing lubricant effectiveness. Reduced friction in extruder applications results in less heat generation. Consequently, the bearing lubricant is better able to maintain adequate separation between bearing rollers and raceways, even at low rotational speeds. 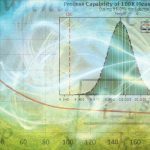 This increases bearing life expectancy and improves overall machine reliability, especially in single–screw extruders. 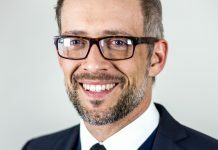 Improved reliability can potentially reduce downtime and maintenance costs for end users, as well as warranty claims for extruder and gearbox OEMs. 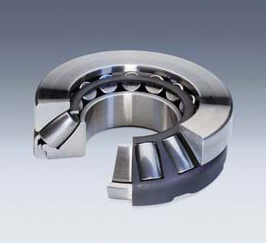 Bearing wear due to contamination and roller skidding remains a major cause of premature thrust bearing failure in extruders. To improve wear resistance, newer varieties of spherical roller thrust bearings usually feature high-quality steel containing a minimum of inclusions (see Figure 5 and Figure 6). The steel then undergoes a special heat treatment process that provides improved wear resistance. 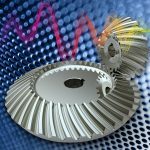 In tests that simulate gearbox environments, SKF has confirmed that these specially hardened bearing steels exhibit improved wear resistance compared with standard bainite-hardened steels. 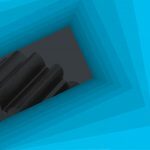 In addition, the specially hardened steels have a period of crack propagation in advance of failure, providing ample warning and allowing users to change out bearings before catastrophic failure occurs. In extruder applications, reduced bearing wear translates into improved reliability and performance — and reduced maintenance costs for end users. Fast oils that are highly agitated tend to produce the highest rates of distortion while slow or marquench oils tend to minimize distortion. Quenching in still (non–agitated) oil is often used as a means of distortion control on critical parts. In twin-screw extruder arrangements, bearing stiffness is a key design consideration. The two intermeshing screws must be precisely controlled to prevent contact during operation, which can result in costly damage. One output shaft is equipped with a standard thrust bearing, while due to space limitations the other has a multi-step thrust bearing. The two arrangements differ with respect to axial stiffness, a difference that must be accounted for during the design phase. Lubricant viscosities in single- and twin-screw extruder gearboxes normally range from 320 to 460 cSt. Because of their internal design, spherical roller thrust bearings generate a pumping action, which can be utilized to improve oil distribution to surrounding gearbox components. Operating temperatures at bearing locations are approximately 50 °C to 60 °C. Insulation is required to prevent the heat of the extrusion process from affecting the thrust bearings. 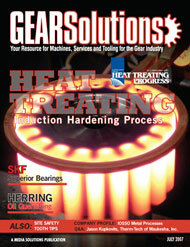 Increased heat can have a negative impact on bearing lubrication. When installing spherical roller thrust bearings, it is important to follow accepted bearing installation procedures. Housings, shafts, and other components in the bearing arrangement should be thoroughly cleaned, and bearings should remain in their original packaging until immediately before mounting. 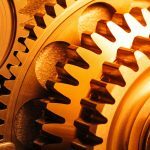 In general, installing spherical roller thrust bearings in extruders is not considered more difficult than mounting tapered roller thrust bearings or other bearing types. SRTBs have a separable design, facilitating installation. The bearings’ shaft washer with cage and roller assembly can be mounted separately from the housing washer. In both single- and twin–screw extruders, the spherical roller thrust bearing is radially free and mounted on a horizontal shaft. The shaft washer has a recommended j6 fit for all bearing sizes. 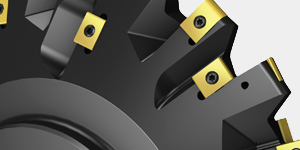 The housing washer is mounted with a radial clearance of approximately 1 mm in the housing. If the bearing is unloaded, the housing washer can move under its own weight. 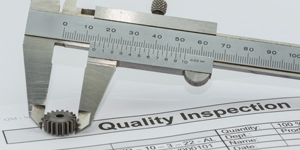 Problems can occur if a minimum axial load is not applied to the bearing at all times. To avert problems, spherical roller thrust bearings are normally preloaded with springs. For more detailed installation instructions, or more on the use of spherical roller thrust bearings in extruders, contact your bearing manufacturer for assistance. is a business engineer in the Industrial Transmission Segment of the SKF Industrial Division. He can be reached at david.martin@skf.com. Visit online at [www.skfusa.com].